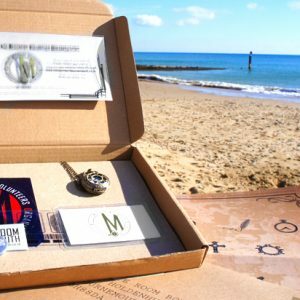 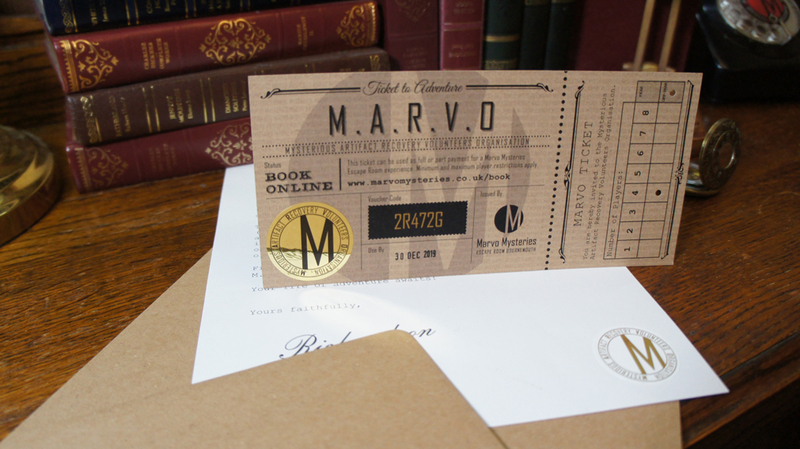 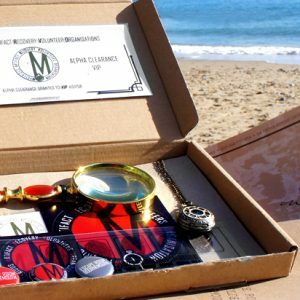 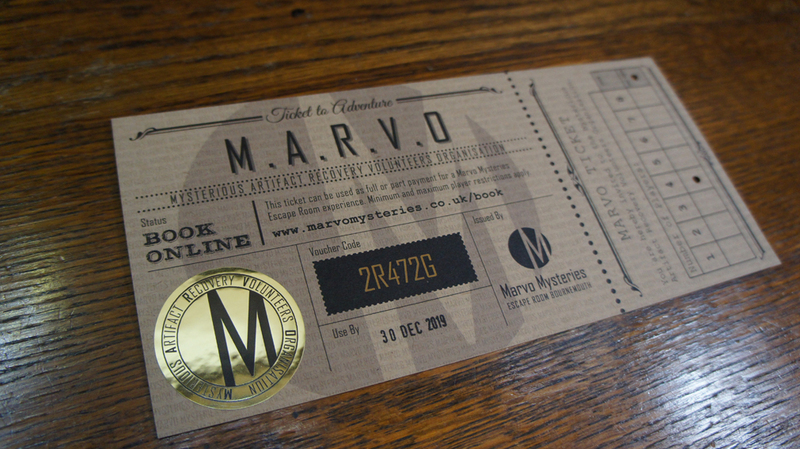 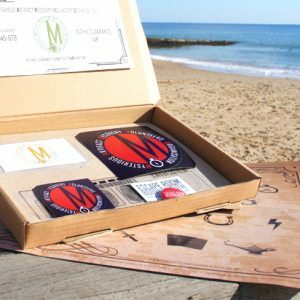 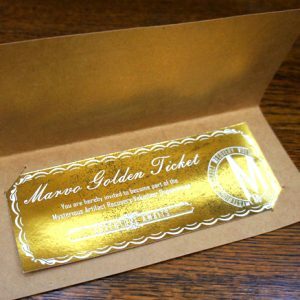 Gift Vouchers for the Marvo Mysteries Escape Room experience are available as an e-Ticket or Printed Gift Ticket. 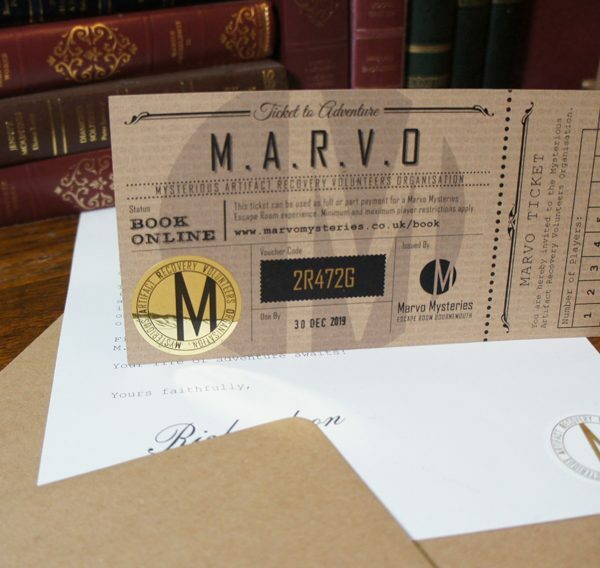 Gift Vouchers can be redeemed as full or part payment via our online booking system and are valid for 12 months. 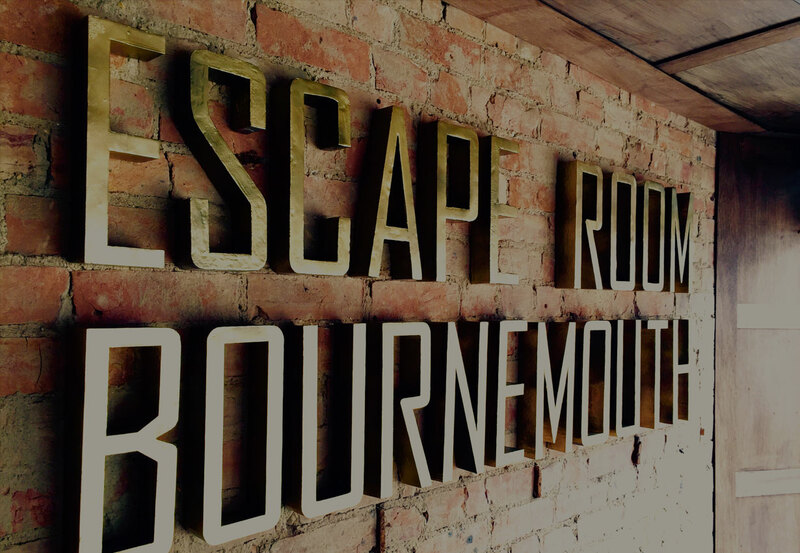 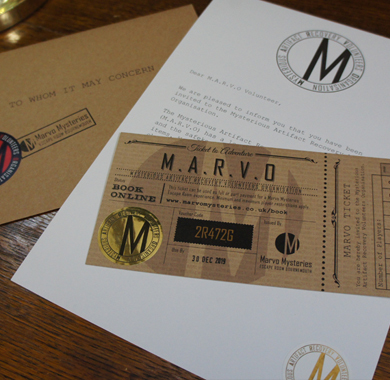 You will receive a digital e-ticket and gift voucher code via email to redeem against a Marvo Escape Room experience. 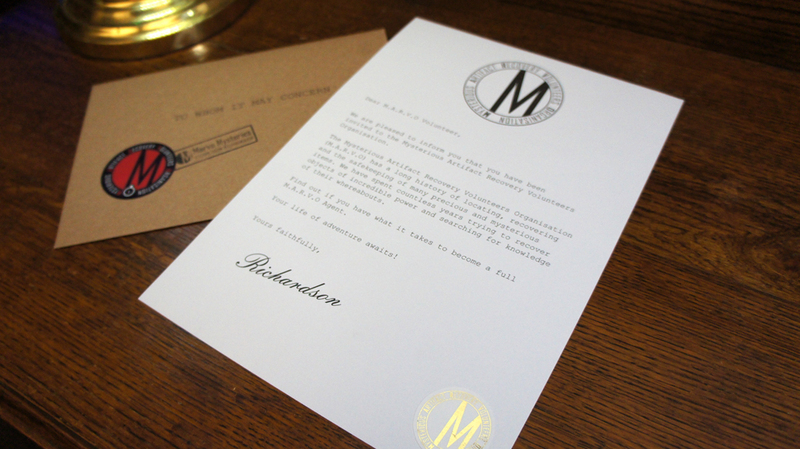 Order before midnight on Wednesday 19th December to guarantee delivery in time for Christmas! 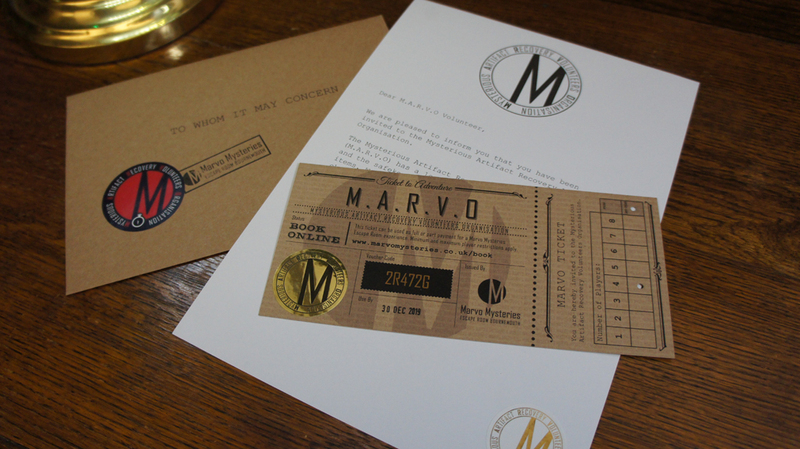 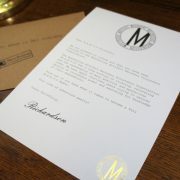 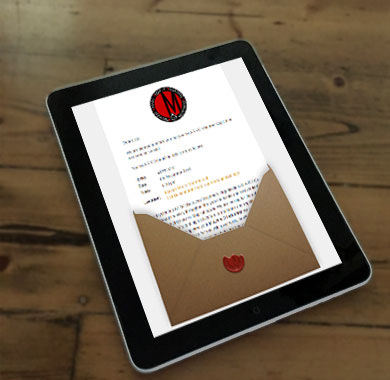 Our printed ‘Ticket to Adventure’ and M.A.R.V.O themed Invitation Letter is the perfect gift for all occasions. 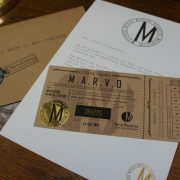 All printed gift tickets are posted Royal Mail First Class in a white unmarked envelope. 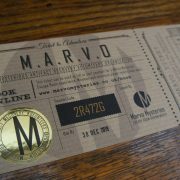 Standard shipping costs £1.99 this includes postage and packaging.